SEOUL -- South Korea's top mobile carrier SK Telecom has reportedly joined hands with Australia's financial service provider Macquarie to launch a joint smartphone leasing business which is not popular because mobile carriers ask users to meet a 24-month minimum mandatory subscription period. 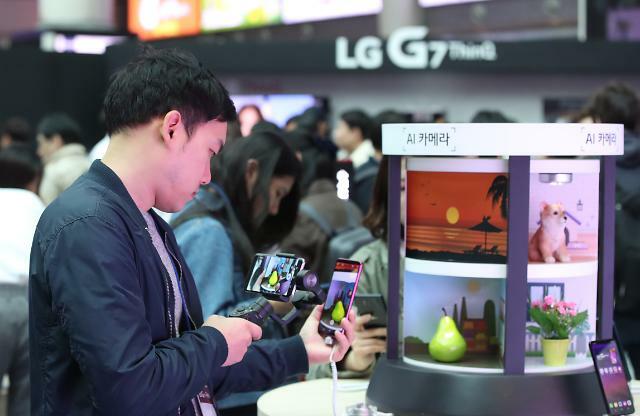 Yonhap News reported on Wednesday that SK Telecom and Macquarie have applied for approval from the Ministry of Science, Technology and Information and Communication to start their joint smartphone leasing service. The new service will be operated like car leasing, Yonhap said, adding Macquarie would lease smartphones using SK Telecom's mobile network under monthly subscriptions. After a mandatory subscription period, users can decide whether to keep their phones. Smartphone leasing services are popular in countries like Britain, the United States and Canada as they normally require a 12-month mandatory subscription period. The average lifespan or replacement cycle of a smartphone in South Korea is about 31 months.